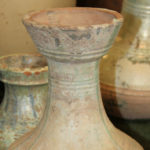 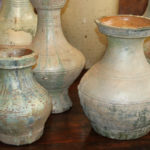 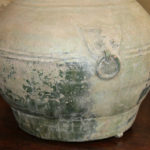 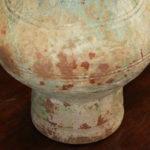 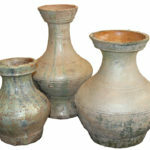 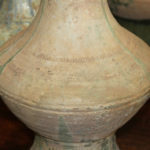 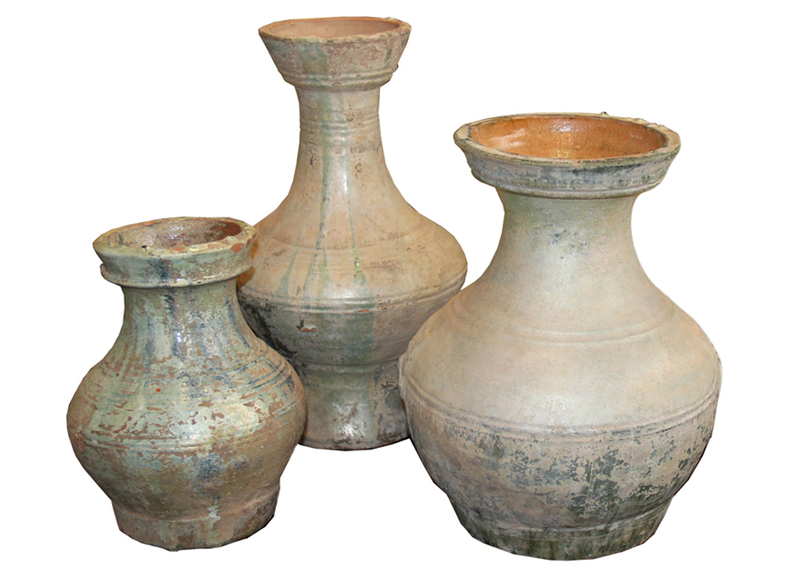 A Set of Three Han Dynasty Glazed Earthenware Jars No. 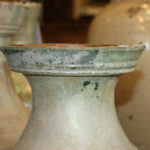 1992 - C. Mariani Antiques, Restoration & Custom, San Francisco, CA. 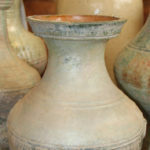 Jar 1 - Height: 10 3/8"; Diameter: 8"; Jar 2 - Height: 16 3/4"; Diameter: 9 3/4"; Jar 3 - Height: 14 1/2"; Diameter: 11 5/8"